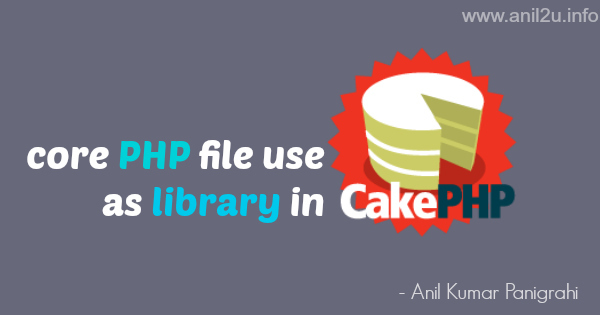 This post explains how use core PHP file as library file in CakePHP. I have requirement that use external file need to use in CakePHP application. Earlier post we learned how to create library files in CodeIgniter. Now we can learn in CakePHP. In below I will explain how to do with CakePHP. * for email gavatar . * @return url of gavatar image. It is explained with simple steps to core PHP file use as library in CakePHP. You can take any other file and work with that.